Schuchard's Sales & Service is located in Watertown, South Dakota on Highway 212. 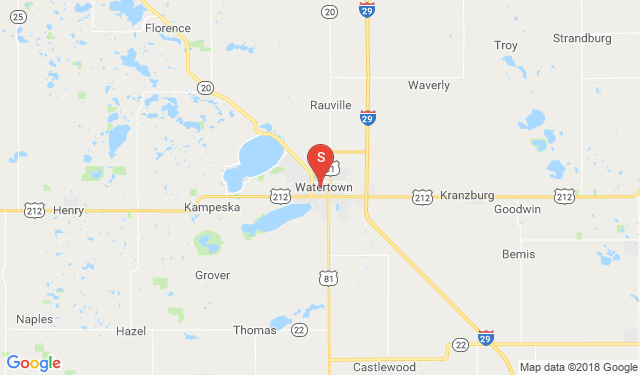 We are just a short drive from Madison, Aberdeen, Huron, and Brookings, SD. As well as Montevideo, Marshall and Pipestone. If you need additional instructions, enter your starting location for step by step directions.